Corporate image is not limited to products and services; the impressions made by advertising and publicity also play a role in its formation. 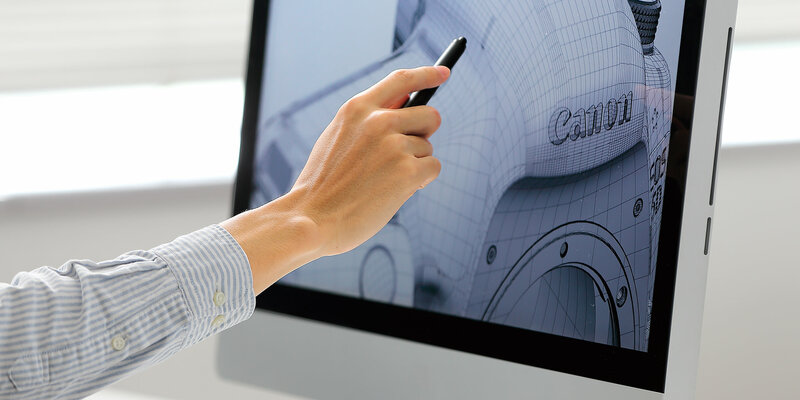 Through the proposal of new value and the creation of high-quality designs in harmony with all corporate initiatives through which Canon engages with its customers, Canon Design contributes to boosting the company's brand value. 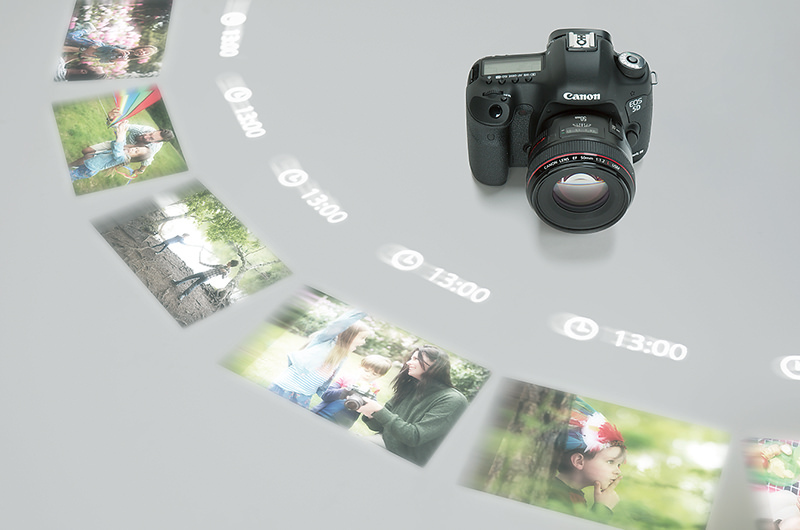 Canon offers a diverse product portfolio that includes not only a broad lineup of cameras, video camcorders and inkjet printers for both professional and general users, but also a widerange of officeuse products, such as copying machines and projectors, as well as industrial products like medical equipment and semiconductor lithography systems. What is more, the company also offers web services that provide users with additional ways to enjoy photography. Aiming to deliver optimal ease of use across a range of usage scenarios, Canon surveys and analyzes customer usage environments, needs and preferences while focusing on appealing designs that enhance user convenience. 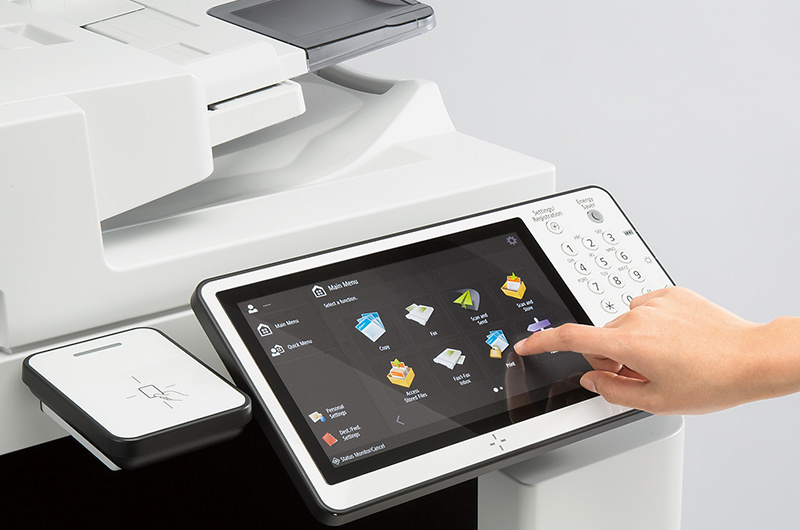 Through a coordinated effort among the divisions responsible for product design, user interface design, usability design and visual design, Canon meticulously refines each and every one of its products. Aside from products, designalso plays an essential role in such areas as Canon's environmental initiatives, CSR activities and recruiting efforts. The messages that the company sends to its customers, as well as employees, must be informative and easy to understandyet another indispensable role of design. What will our world look like five or ten years from now? What changes can we expect to see in the workplace and in our lifestyles? And how will design influence these developments? With an eye to the future, Canon Design attempts to visualize what lies ahead and createnew proposals, another important job that is essential for the Canon of tomorrow. 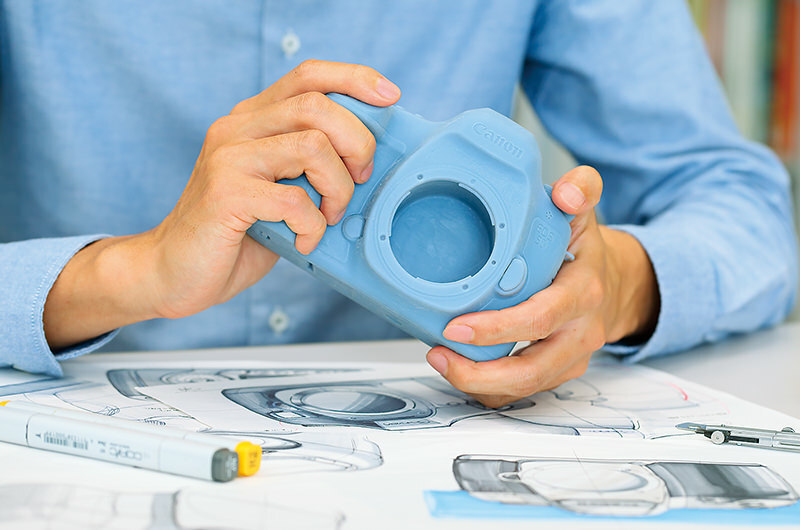 Canon, as part of the company's R&D globalization efforts, offer a study-abroad program for its engineers, The Design Center also sends company designers overseas on similar program. 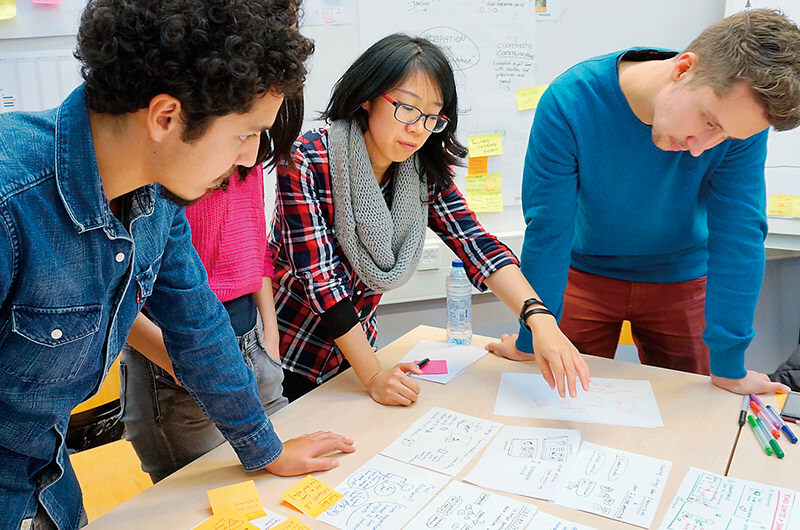 As a result, overseas-study experiences are being put to substantial use in the design development process.